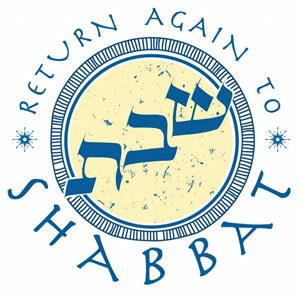 Friday’s potluck is cancelled, but Kabbalat Shabbat service is still happening. Please be aware that we will not be holding a Friday evening potluck as previously scheduled, but we will still hold a Friday night service at 6:30pm! The service, led by Rabbi Rachel, will last for one hour and will feature the songs and psalms of Kabbalat Shabbat (“Welcoming Shabbat”) as well as the prayers of the evening service. Join us for services to put the capstone on your week. Also, join us Saturday morning for our regular Shabbat morning services (9:30-11ish) with Torah study to follow, led by Rabbi Rachel. 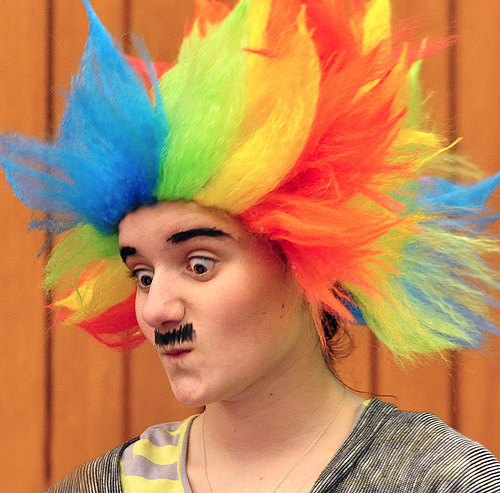 Williams College invites all members of the community to experience the Human Library on Friday, Feb. 28, from 1 p.m. to 4 p.m., and Saturday, March 1, from 1 p.m. to 4 p.m. at Paresky Center on the Williams College campus. This is a free, interactive event, and reservations are not required. The Williams Human Library contains 60 “books:” Williams students, faculty, staff, and community members who have volunteered to be “checked out” for up to 30 minutes each. Each book shares his or her story in a one-on-one conversation with a “reader,” and each book asks questions of the reader as well, prompting an engaging discussion about their similarities, differences, and life experiences. 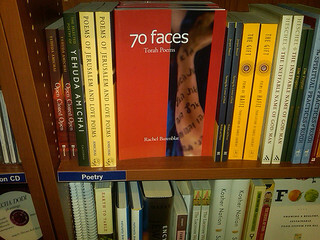 Rabbi Rachel will serve as one of these human books on Friday afternoon. This is the third year that Williams has hosted the event. Last year, more than 250 people checked out human books. This year, the catalog of human books includes titles such as: “Navy Seal,” “16 Years in Prison,” “Olympic Athlete,” “Gun Shop Owner,” “The Complex Life of a First Gen Student,” “Cancer Survivor,” and “Growing up in the Jim Crow South.” These captivating titles, along with the intimate nature of this project, serve as an opportunity to learn about another community member for a given time and ask them what you want to know. The goal is for the people of the community—both on and off campus—to learn more about each other, to explore and move beyond stereotypes, and to develop a greater understanding of each person’s unique narrative. Williams’ Human Library is sponsored by the Gaudino Fund and the Human Library Committee, which is made up of faculty, staff, and students. It’s time for our periodic update on what our shlichei tzibbur (prayer-leaders) are reading in their copious free time! I am also reading “Into the Fullness of the Void: A Spiritual Autobiography,” a beautiful memoir by Dov Elbaum, a formerly ultra-Orthodox Israeli who is trying to understand his spirituality by using the Kabbalah as a roadmap. What I can’t wait to begin is Ari Shavit’s “The Promised Land” which everyone I know is reading and talking about. Chaim and I just heard him speak. I am also reading (as well as re-reading) a number of Jewish short stories in hopes of putting together a course on Judaism through the short story. With my chevruta partner, I am also re-reading “Cheshbon haNefesh (An Accounting of the Soul),” a classic Mussar text. 101 Social Media Tactics for Non-Profits: A Field Guide by Melanie Mathos, et. al. The Radical American Judaism of Mordecai M. Kaplan, by Mel Scult. Excellent study of the most influential Jewish thinker in the 20th century. The research for this book is based on Scult’s access to Kaplan’s vast journals. To truly understand Judaism in the 20th and 21st century you need to understand Kaplan. The Real Name of God, by Wayne Dosick. Dosick offers an intriguing insight to the many different names and personalities of God in the Hebrew Bible. Mixed Up Love, by Jon Sweeney and Michal Woll. This is a challenging book about the marriage between Rabbi Woll and Sweeney who is not Jewish. Together they explore how this relationship works and why their marriage may be an important model for how intermarried couples can create a meaningful Jewish home. The Way of the Hen: Zen and the Art of Chicken Raising, by Clea Danaan. Although a light hearted book, the author actually makes deep connections between raising chickens, Buddhism and life in general. Leviticus: You Have No Idea, by Rabbi Maurice Harris. Harris’s book helps explain why Leviticus is such an important book despite the fact that it seems to be the least interest of the 5 Books of Moses. He tackles some of the biggest challenges Leviticus throws at us such as menstrual blood, sacrifices, “leprosy” and sexual behavior. We hope you enjoy these assorted rabbinic book recommendations! The spring 5774 / March-April 2014 edition of the CBI newsletter is now available! In this edition of the newsletter you’ll find information about upcoming events (our Board Game night in late February just after presstime; Purim and Pesach festivities), classes (save the date for our Omer study group! 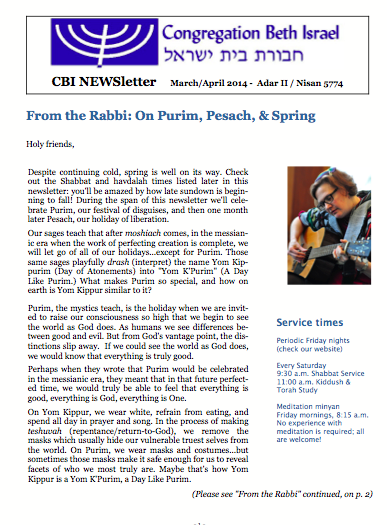 ), member happenings, a reprint of an essay by the rabbi about Jewish meditation, and more. As always, the newsletter will also be archived on the Newsletter page of our website, and will be sent via e-mail to all CBI members. If you are a CBI member and do not receive the Newsletter via email this week, that may mean that we don’t have all of your household’s email addresses on file; drop us a line or give us a call to make sure we have the right information. Shavua tov / a good week to you! This week we’re reading parashat Vayekhel. The name of the Torah portion is a hyperlink; click on it to be taken to the Torah portion in English if you want to read the portion before coming to Shabbat services. This Shabbat, our shaliach tzibbur (prayer leader) will be Rabbi Dennis Ross. We also thank our member Helene Armet for the home-baked challah! This week’s Torah portion begins with Moshe atop Mount Sinai, communing with God. The last thing God says to Moshe is a set of verses we now know as V’shamru, commanding us to keep Shabbat throughout the ages as a sign of covenant with God. Then God gives Moshe the two tablets, inscribed by God’s own hand. Meanwhile, the people are anxious. Moshe has been gone for a long time. They implore Aaron, his brother, to “make them a god.” They donate their gold jewelry, and from that jewelry is fashioned a calf which they begin to worship. When Moshe comes down the mountain, he shatters the tablets in his fury. Many commentators have seen this incident as a kind of spiritual “adultery.” Here is God reminding us of the Shabbat which serves as the sign of our eternal relationship, and meanwhile we’re off giving ourselves over to something which is not God. The Torah frequently compares our relationship with God to a marriage…and here we are, “cheating on” God when the ink on our ketubah is barely dry. As punishment, Moshe grinds up the calf and makes the people drink it — which is strikingly similar to the punishment for a woman accused of adultery, as described later in Torah. I’m always struck by the symbolism of making the people confront their own misdeeds in this way. They have to literally swallow what they have done. They have to take ownership of the damage they have done to their relationship with God. Seen in this light, Moshe’s shattering of the tablets is a sign of the spiritual brokenness in that relationship. But what becomes of those broken stones? In the ark of the covenant, which will be kept inside the mishkan / dwelling-place for God, our ancestors carried both the second set of tablets (which are whole) and that first set of tablets (which are broken). For Rabbi Joshua ben Levi, this holds a message about how to treat our elders. Just as we cherished both sets of tablets, so we should cherish both those who are whole, and those whose wholeness has been broken by sickness or by age. Perhaps when Moshe broke the tablets, he was demonstrating his own brokenness. His wholeness was broken when his people demonstrated their lack of commitment and faith. Just as our ancestors kept the broken tablets along with the whole ones, we cherish the memory not only of Moshe’s beautiful moments, but also his times of imperfection and anger. Each of us is like Moshe. Each of us carries her own history in the ark of her own heart. In our own holy of holies, we hold our sweetest memories — and also the times when we have felt shattered. Without both, we wouldn’t be who we are. How does all of this relate to Shabbat and to v’shamru? The verses of v’shamru, from this week’s portion, charge us with keeping Shabbat as an eternal covenant. It is a sign, God says, between us for all time. A reminder that on the seventh day God rested and so do we. Shabbat is a covenant between us and God. When we keep Shabbat — whatever that means to us; as liberal Jews we shape our Shabbat observance in accordance with a variety of values — but when we keep Shabbat, however we keep Shabbat, we re-enact the covenant. Every week, we renew our wedding vows with the Holy One. We reprise the central act of our relationship, an act of pausing to notice the sacredness of creation. Every Shabbat is the antidote to the sin of the Golden Calf. Then we were anxious and we put our faith in something gleaming, something we could see and touch. Now we remind ourselves that relationship exists even when we can’t see it. That when we make Shabbat, we emulate the ineffable force behind the cosmos in rhythms of creation and rest.